Pioneers in the industry, we offer paxton centrifugal blower from India. 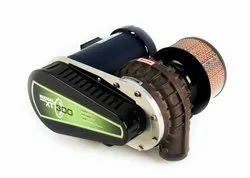 Paxton Centrifugal Blower product's is the industry leader in air delivery solutions, service, quality products is a division of globally recognized Illinois Tool Works a Fortune 200 company located in Chicago, Illinois. 30 plus years providing superior products, unmatched engineering and an industry best warranty and guarantee combined with the strong global presence of Illinois Tool Works has established Paxton Products as the preferred partner for drying and blow-off applications around the world. Paxton Centrifugal Blower custom-designs complete air knife drying and blow-off cleaning systems. As a pioneer in the development of Air-Knives and widely regarded as an expert in air flow systems, Paxton Products has refined today's Air-Knife designs for "precision-drying," coatingcontrol, removing dust and unwanted materials, as well as air curtains and many moreapplications. Paxton Centrifugal Blower has implemented such systems in the US and Europe.